The last time I did an “In my kitchen” post was in May!! I cannot believe that is has been so long ago! If you want to do a post about your kitchen, please link back to Fig jam and Lime cordial. 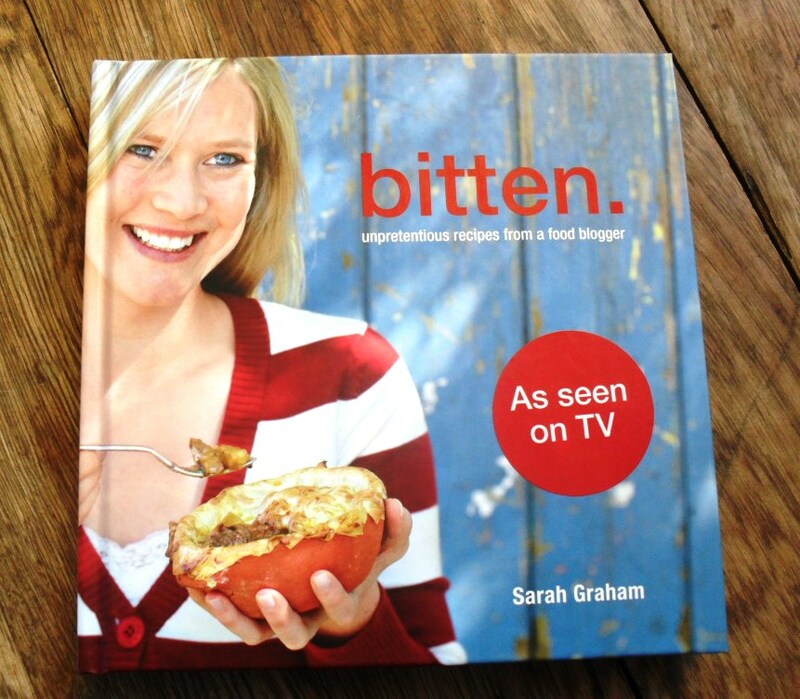 In my kitchen is the recipe book “Bitten” by Sarah Graham! In my kitchen this month is a variety of enamel props. I bought these for next to nothing in Mosselbay. 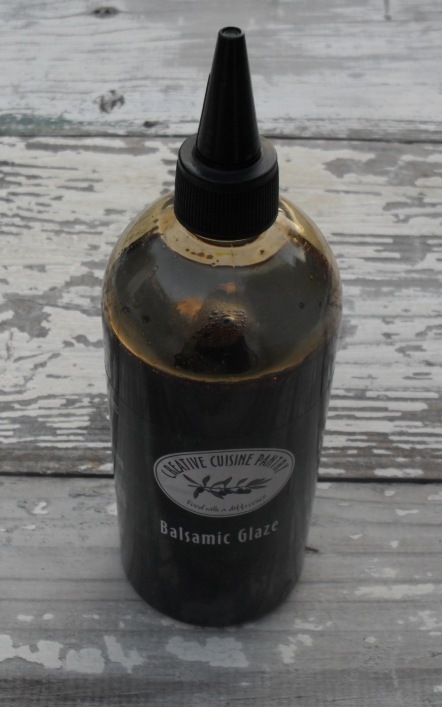 In my kitchen is balsamic glaze, from one of my favourite suppliers “Creative Cuisine Pantry”. 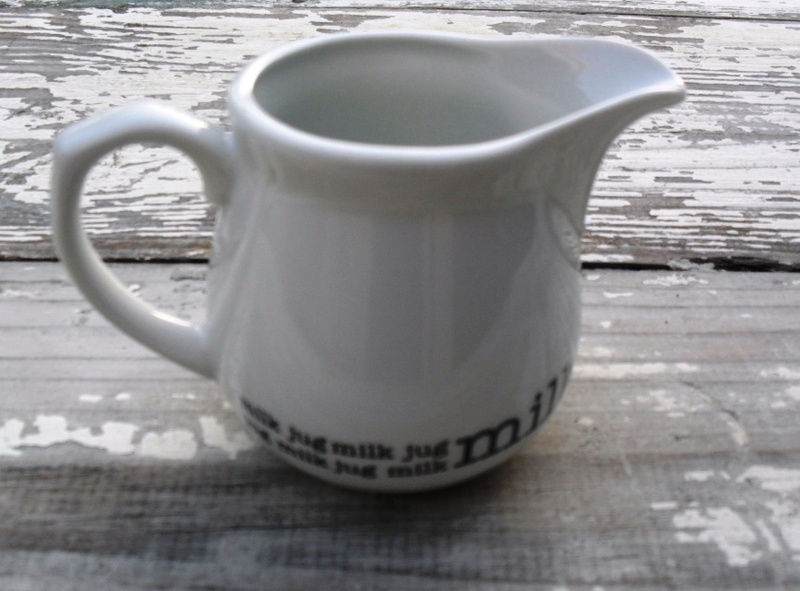 I bought this cute small milk jug at a sale recently. 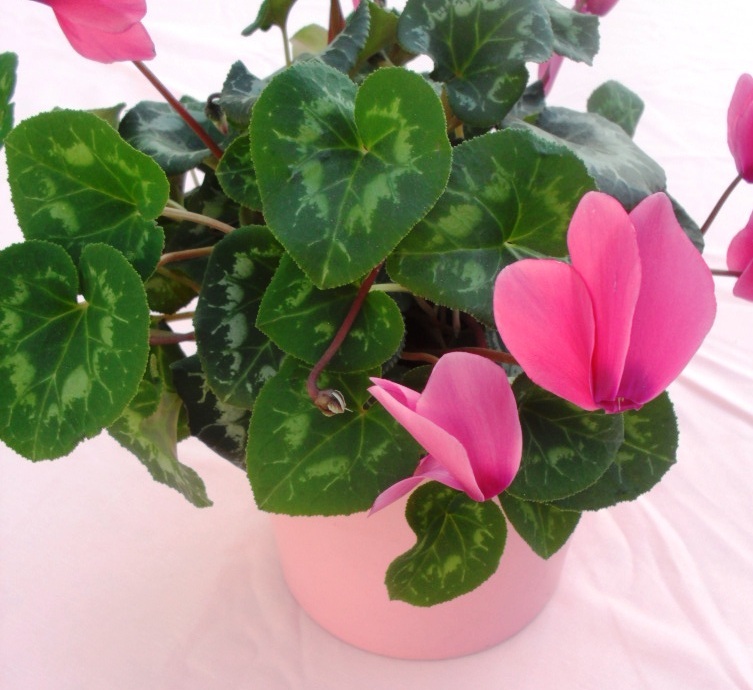 I am in love with this green at the moment and bought a couple of crockery in this colour. 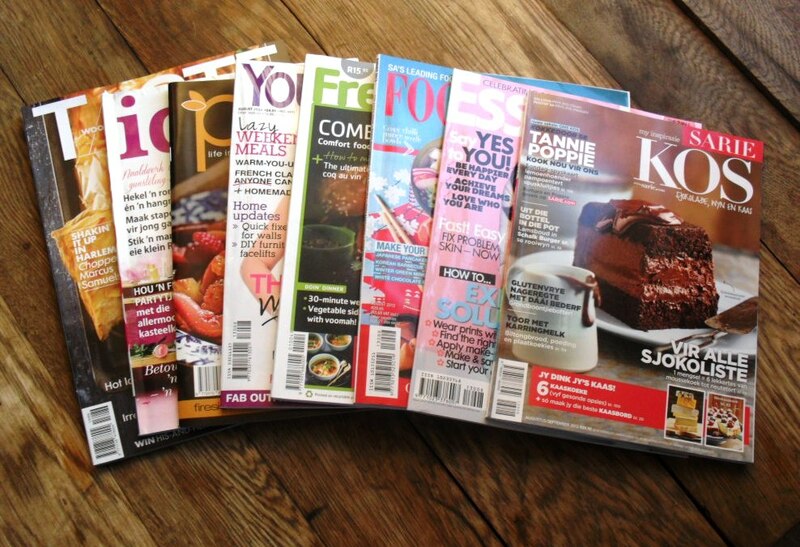 In my kitchen, as always, are the latest South African magazines for inspiration! 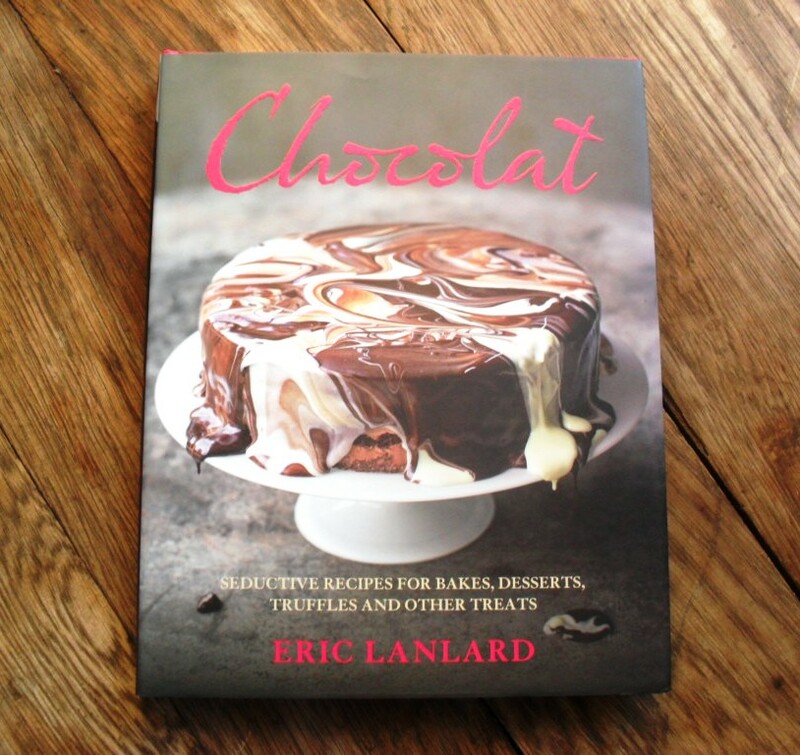 In my kitchen is the book “Chocolat” by Eric Landlard. Tell us what is in your kitchen this month! So many lovely things in your kitchen Zirkie although my favourite are your antique green turquoise platter and mini bowls. 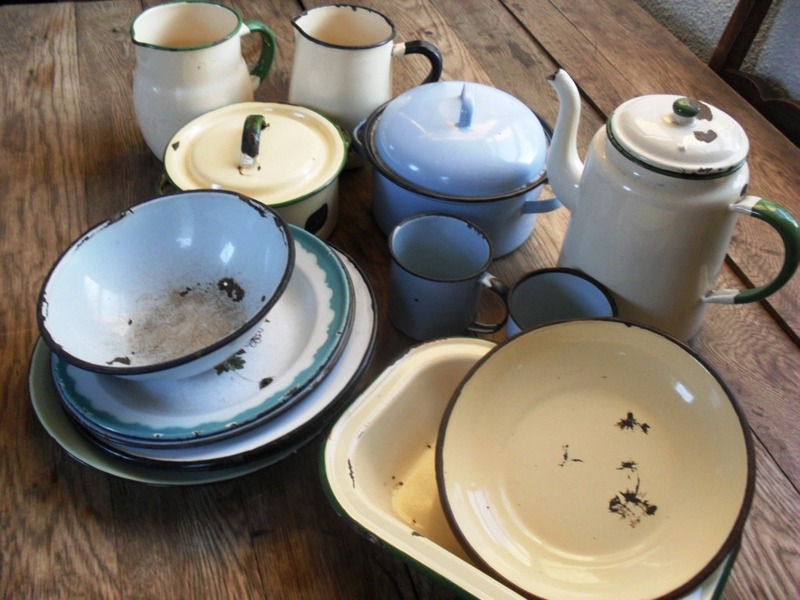 Hi Zirkie… a woman after my own heart… I love enamelware too! My mum and dad always had some in the kitchen… and I now have a few of their pieces, plus others I bought for next to nothing too. Your crockery is beautiful… and those cookbooks look interesting. I love all your enamel ware and the little milk jug is so cute. The book looks very enticing- seductive and chocolate goes pretty far in purchasing a book! G’day Zirkie! Love your enamel props too! Thank you also for your kitchen view! Shut Up! 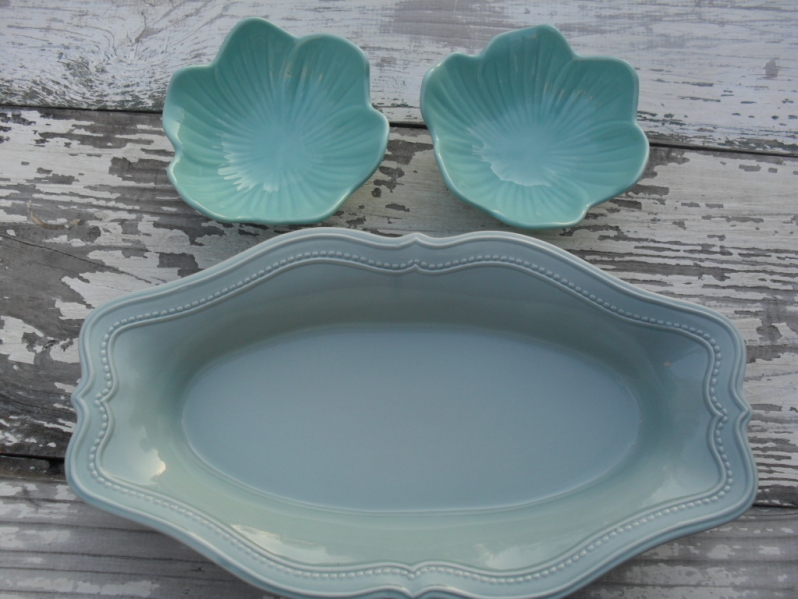 about that fabulous enamel ware…I got just one chipped cup recently and thought I’d hit the jackpot. You’ll have so many more comments about it. Thanks for sharing. I covet your enamel ware. I can never find any that looks that fantastic. That platter is beautiful. Props and cookbooks and magazines, oh my! 🙂 Your “In My Kitchen” post was a visual treat and a fun place to visit. Thanks! Thanks for the compliment, Kim!